Edward P. Tynan B.A. (Mod. ), L.L.B. Eddie graduated with an honours degree in law from Trinity College, Dublin in 1977. He served his apprenticeship with a firm of solicitors in Mullingar and was admitted to the Roll of Solicitors in 1979. He was a founding member of the firm of Larkin Tynan & Co. with Denis Larkin in 1982 and has been a partner in the firm in Mullingar since then. Eddie, as a solicitor, has extensive general practice experience specialising in commercial and residential conveyancing, licensing, probate, wills, and advising on the transfer of family businesses and farms to the next generation. 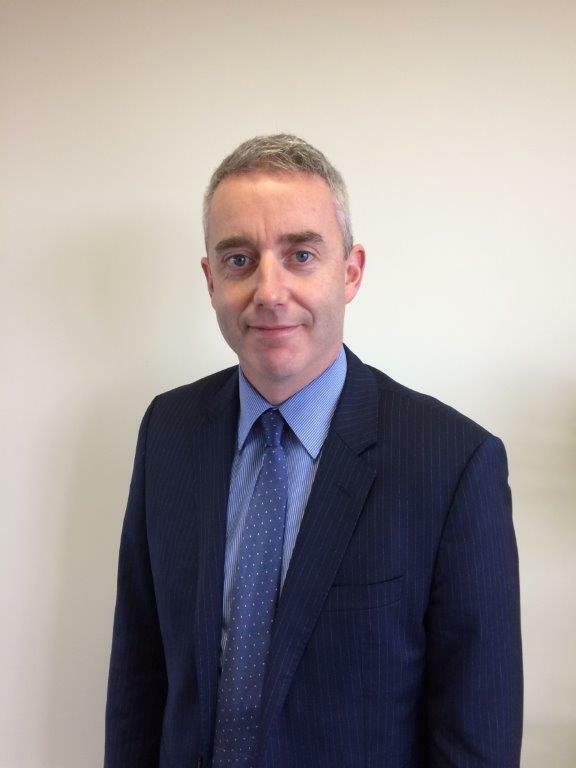 David Nohilly qualified as a solicitor in 2005. He holds B.A. (Hons) Degree in Law and Accountancy. He is a member of the Law Society of Ireland and the Law Society of England and Wales. He has extensive experience in all the main areas of the law including Court Litigation, Property Matters, Wills & Trusts and Licensing. He has a particular interest in data protection law, personal injury, employment and Wills & Trusts. He has an established base of expert contacts to assist clients in their cases from accountants, tax advisors and medical personnel. He is well accustomed to appearing in Court for clients locally in the District and Circuit Courts in the Midlands to the High Court in Dublin. David is an active member with the GAA’s Disputes Resolution Authority. Shelley graduated with an honours degree in Law from Trinity College Dublin in 1991. Following her apprenticeship with a leading Dublin firm she was admitted to the Roll of Solicitors in 1994 and thereafter was head of the litigation department in a large Dublin firm prior to joining Larkin Tynan Nohilly. Shelley specialises in civil litigation including personal injuries claims, defence and prosecution work for corporate and private clients, contract disputes, employment law, licensing and medical negligence. Shelley also has considerable experience in family law, arbitrations and advocacy work in the District, Circuit and High Courts. Hannah graduated with an honours degree in Law from the National University of Ireland Galway and was admitted to the Roll of Solicitors in 2017. She served her traineeship with a firm of Solicitors in Oldcastle, Co. Meath prior to joining Larkin Tynan Nohilly, where she gained extensive experience in all areas of general practice. Hannah has particular expertise in the areas of Residential and Commercial Conveyancing, Landlord and Tenant, Probate and Wills. She also has considerable experience in Litigation including Family Law and Employment Law. Assumpta has been with Larkin Tynan Nohilly since 1984 and has developed a niche expertise in the Administration of Deceased Estates. She is also a qualified Accountant and manages in-house the firm's accounts. Denis graduated from University College Dublin with a degree in Law in 1977. He served his apprenticeship with a firm of solicitors in Drogheda, County Louth. He was admitted to the Roll of Solicitors in 1978. He set up the firm of Larkin Tynan & Co. with Edward Tynan in 1982. He practised as a Partner in the firm from 1982 to 2016, when he retired as a Partner. He continues to practice as a Consultant Solicitor in the firm. Denis has extensive experience of general practice, specialising in commercial and residential conveyancing, wills and probate. Larkin Tynan Nohilly's approach is to provide a professional, efficient, and caring service to its clients.